This maxi-length tunic is sure to make heads turn. 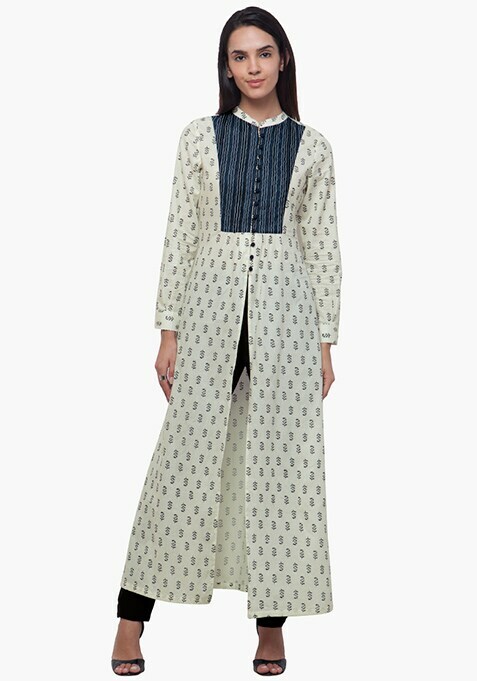 It features a front slit, navy yoke, front button closure, mandarin collar and full sleeves. Work It - Looks amazing with black leggings, peep-toes and braided bun.